Following on from a successful introduction in the EU, a new oncology brand was to be launched in Russia. This would start with one year of ‘free pricing’, prior to later potential national reimbursement (essential drugs list, or ‘EDL’ listing). During the ‘free pricing’ period, patients would only be able to access the therapy by paying out-of-pocket for the oncology brand. The customer therefore needed to understand the patient price-demand relationship (i.e. patient willingness-to-pay) in order to estimate the likely usage at different price points. Determine the patient price-demand relationship (patient willingness-to-pay). If no national reimbursement is achieved, estimate the optimal launch price to maximize revenue amongst patients. 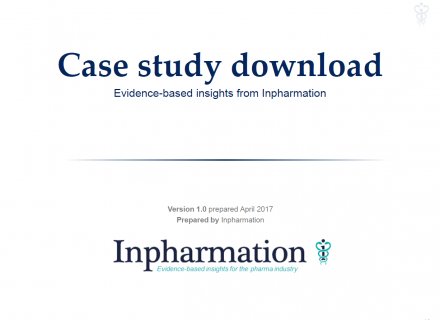 Patient research often involves asking highly hypothetical questions to respondents with little prior experience in making pharmaceutical purchasing decisions (i.e. this may be their first oncology drug purchase). Following the initial ‘free pricing’ launch period, the pharma company aimed to launch with national reimbursement. National reimbursement in Russia essentially means becoming a brand that is listed on the Essential Drugs List (EDL). The customer needed to understand what price would result in the oncology brand being EDL-listed, and, if no EDL-listed was achieved, whether there would be any regional formulary listing and resulting oncologist usage. Revenue-maximizing price for national and regional reimbursement. Oncologist usage for scenarios where the brand is either nationally or regionally reimbursed. National payers, regional payers, oncologists and patients must all be included in the research to understand the pricing dynamics. However payers are a rare respondent group, especially in the Russian market.